Boris Lovet-Lorski was born in Lithuania in 1894. He entered the Royal Academy in Petrograd to train to be an architect. 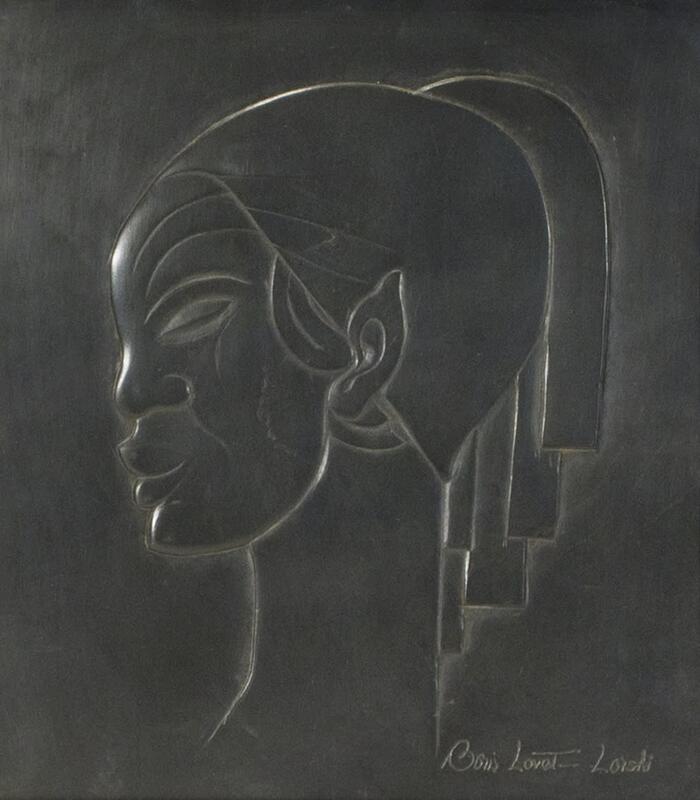 His sculptures combine the influences from his architectural background with such other influences as Art Deco as well as other modern, tribal, oriental, and ancient motifs. The results are a wonderfully distinct mixture of originality and style. Such a combination of unique and unusual artistry of design with a pleasing breath of originality quickly brought an audience of critical acclaim and resulted in his first one-man show in Boston in 1925. Coincidentally Lovet-Lorski became an American citizen that very same year. He next traveled to Wisconsin to teach at the Milwaukee Art Institute. While there he developed an ever-widening reputation which brought eventually and ultimately him to New York where he began to exhibit at the Wildenstein Gallery in 1928. His time spent in Hollywood in the 1930’s where he designed portraits and busts of celebrated people, high society figures, actors, and musicians elevated his reputation to a glamorous position of distinction. His success can be measured by his ability to maintain studios simultaneously in New York, Rome, and Paris. Lovet-Lorski’s biography is carved into his sculptures. His Russian childhood roots can be perceived in the angled Slavic eyes of Profil de Femme.His early sculptures reveal his architectural design training especially in his mastery of such concepts as structure, space, volume, and sheer three dimensional presences. His eclectic ethnic borrowings are melded with his distinctly American attitudes of industrial progress as well as a certain celebration of technology that result in the highly stylized and sleek, almost futuristic lines in the profiled head. The energy of the avant-garde movement in Paris is further reflected in the sheer modernism of his overall design. Lovet-Lorski was well-known for working in special, unique, and unconventional materials ranging from marble, granite, onyx, slate and jade to aged wood. In quixotic fashion he was known to pattern the subjects of his sculptures to suit the nature of the material rather than to pattern the material to suit the subject. The grey slate employed in his Profil de Femme is a sleek and smooth stone that complements the placid features of the figure and heightens sleekness that seem to mirror the latest cars, planes, and machines that were born as well in the early 20th century. 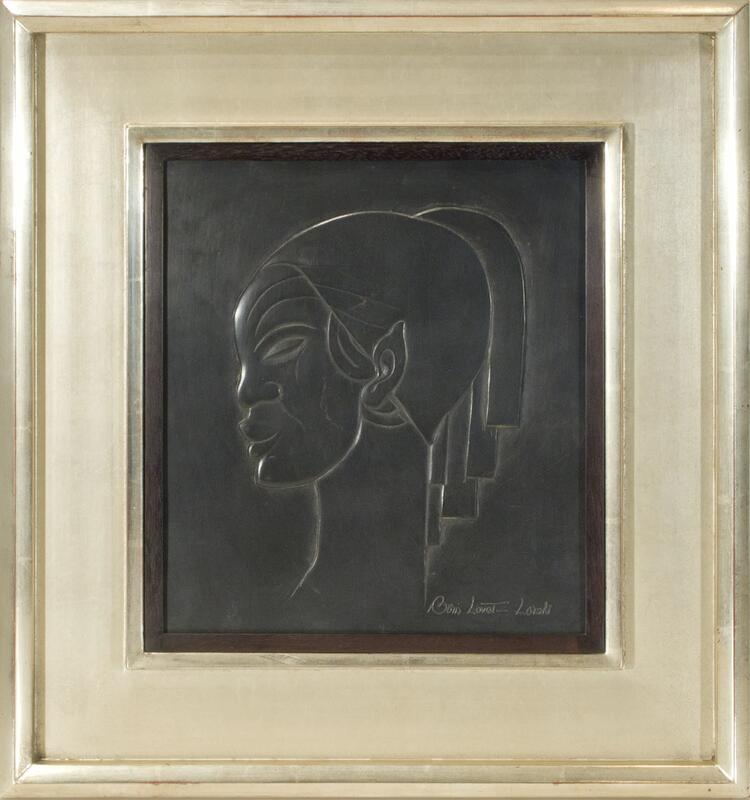 As personified in Profil de Femme, the legacy of Lovet-Lorski lies in his exquisite idealized forms, his provocative choice of materials, and his unique blending of cultural influences that result in an originality of style that is inspiring and imaginative even by today’s standards.